'Increase in weight'! These 3 words can put a person in the risk zone of a number of diseases. Being overweight is something, one cannot be proud of, as excessive weight gain can adversely affect health. An easy solution to weight problems is to be more physically active and discard unhealthy foods from the diet. When calories-in is more than calories-out, the outcome is increase in weight. So, one has to simply switch over to a diet devoid of calorie laden foods. First of all, to reduce excess body fat, you need to cut fat from your diet. However, it is essential that one is comfortable, while following the chosen diet plan. 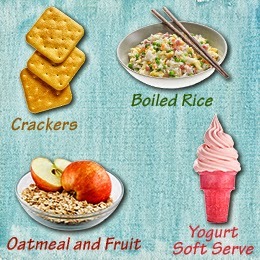 A low-fat diet, high in fiber is a pre-requisite to reduce weight. Include plenty of fresh vegetables, fruits, whole grain products, fish and poultry products such as skinless chicken (lean meat) in the diet. These dietary modifications can bring reduction in weight in a healthy way. Also, one needs to stay away from high sugary foods such as pastries, as they increase body fat and promote weight gain. Foods high in refined carbohydrates also have to be excluded from the diet. It is a known fact that the hormone insulin regulate the fat cells and carbohydrates are notorious for increasing insulin levels. Too much insulin can actually make your fat cells fatter and hence foods high in refined carbohydrates like pasta, white bread, white rice and biscuits, cookies and soft drinks have no place in weight loss diet. Even canned fruits and vegetables contain a high amount of sugar and so have to be avoided. Along with the diet, following a rigorous exercise routine is equally important to lose 5 pounds in 10 days. Any form of exercise will not help to achieve weight loss in the desired range. Exercises that speed up metabolism and burn calories faster, need to be performed on a daily basis for 50-60 minutes, without fail to achieve a sustained weight loss. Exercises such as swimming, running and jogging, rowing and bicycling have proved beneficial to lose weight quickly. 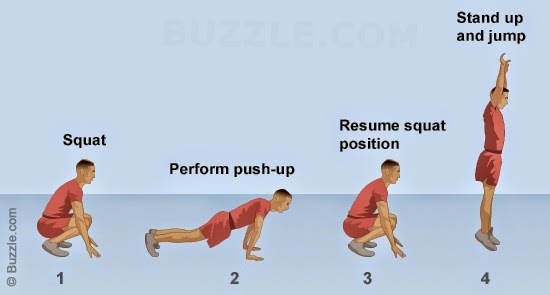 All these are cardiovascular exercises, that allow the body to burn calories fast. The stubborn belly fat can also be effectively eliminated with these exercises. An intense workout consisting of cardiovascular exercises for an hour should be followed. Studies have shown that having plenty of water every day can affect body weight considerably. Intake of 8-10 glasses of water is crucial to burn excess body fat. Water accelerates metabolism (the process of burning food (calories) into energy, required for day-to-day activities), which helps to bring down body weight. A dehydrated body can act as a great hindrance in losing weight and slowing down metabolism. So, water intake in ample amount is something one cannot ignore, while reducing weight. How many times does one prefer to have a meal during the day, can also influence body weight. Having only lunch and dinner in a day, will contribute to overeating and increase in weight. Eating 2 large-sized meals won't provide weight loss benefits. A better option would be to have 5-6 nutritionally balanced meals. Having small frequent meals helps to speed up metabolic rate, crucial to accelerate weight loss. Getting adequate sleep is as important as following a healthy diet to lose weight. Difficulty falling asleep or sleeping only for a few hours can cause hormonal imbalance, which may lead to weight gain. 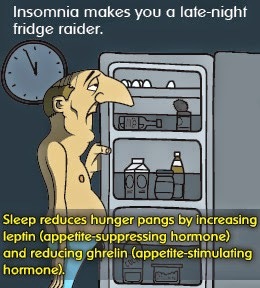 So, make sure to take a sound sleep of 7-8 hours if you are serious about dropping those extra pounds. Being a freshman in college is not a easy task. It is a rapid transition from an easygoing high school lifestyle to a fast-paced hectic schedule filled with grueling lectures and approaching deadlines. In the midst of this chaotic transformation, freshmen are prone to get stressed out. As a result of this, they tend to overeat, and even skip any form of exercise or physical activity that they might have indulged in earlier. 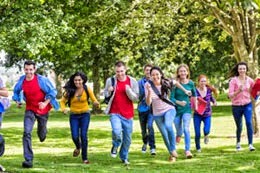 The "Freshman 15" syndrome is a belief that upon joining college, almost every freshman gains something close to 15 pounds in the first few weeks. This is more than just a myth and is a phenomenon that is commonly observed by many freshmen across the country. There are some pretty simple ways which can help a freshmen avoid the dreaded "Freshman 15" syndrome. Losing weight when in college requires some smart and innovative ways of exercise and physical activity. If you are burdened by tests and have a lot of reading to do, try walking around while you are reading. This will keep you from falling asleep, and also help you burn some calories. This is another great tip to lose weight quickly. Running to class will save your time and burn calories at the same time. Be sure to carry around a towel to wipe your face though. Remember, just because you're running to class does not mean you have to be late. Your laziness and procrastination plays an equal part in the weight-gaining process. Get out of bed early and be active in order to burn some more calories. Join the football team, the running team, or play any other sport you like. Alcohol causes you to gain calories. 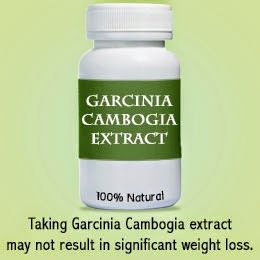 Regulate and moderate your consumption, it is a sure way to control unexpected weight gain patterns. Almost everyone has a tendency to indulge in some midnight snacking. This helps one stay awake, and also carries an alluring feeling of satisfaction. But this too, increases your weight. Make a conscious effort to control your appetite, and eat a healthy dinner instead. If you must munch on something at night, the least you can do is make sure that it is something healthy. This is an annoyingly addictive habit that many people regret after a few weeks of regular indulgence. This is one of the most recommended methods that may not only help college students, but also other people. You're probably burdened by a lot of assignments and tests, but if you can manage to take the time out to exercise regularly, you will not have to worry about "Freshman 15" syndrome anymore. Hit the gym, go cycling, go swimming, or go trekking. The amount of options that are open to you in order to lose weight are plenty. Make use of the facilities that are available to you. At the end of the day, losing weight requires more than just hard work. It requires willpower, dedication, sincerity, and commitment. You need to make changes in your lifestyle in order to combat weight gain. Are Boot Camps for Weight Loss Really Effective? There is no doubt that a boot camp can be really very effective to lose weight, and those who have participated in this fitness program, swear by its efficacy. A boot camp consists of sessions of high-intensity exercises combined with healthy eating for a specific duration under the supervision of a trained instructor. Boot camps do not recommend any kind of fad diets or diet pills, but rather focus on customized diet plans and exercise routines to burn excess fat. Why Boot Camps are Effective ? At boot camps, workouts are done in a group, which has plenty of benefits. It creates a social atmosphere, leaving no scope for boredom. You get acquainted with new people and make friends, which breaks the monotony of exercising alone. There is a huge gain in motivation, when exercise is done in groups, which makes you work harder to achieve your goals. Boot camp exercise routines are generally held outdoors in the lap of nature, allowing you to breathe plenty of fresh air. Working out in a natural environment is rejuvenating, hence, you tend to push yourself harder. 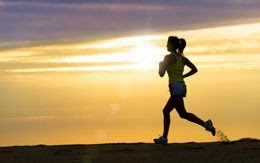 Thus, when outdoors, you are motivated to exercise at a higher intensity, which increases your calorie expenditure. By joining a boot camp, you break the monotony of gym workouts, no longer fiddling with the exercise ball or spending time on those uncomfortable machines. Here, you get rid of gym rut, as boot camps introduce you to a wide range of workouts. There are plenty of adventure activities that provide a whole body workout, thereby allowing you to burn a great deal of calories. From jumping jacks, push ups to climbing, canoeing, hiking, water rafting, there is so much to do that you never get bored when following the routine. 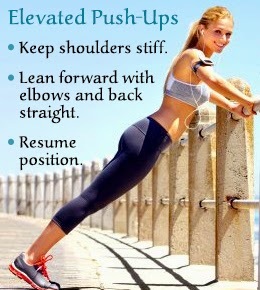 You also get to know new about new fitness routines that can be easily implemented at home. The scheduling and implementation of activities in boot camps is carried by instructors who have extensive experience as gym or personal trainers. Some are former military personnel who conduct the exercise program in the most effective way. Boot camps that are usually conducted in small groups have dedicated personal trainers who encourage you to push your limits so that you burn more calories and lose excess weight fast. Taking too much rest between workouts can reduce the efficacy of an exercise program. However, in boot camp sessions, the rest period between each exercise is optimum. So, at the end of the day, you burn maximum calories, which helps reduce weight quickly. Boot camps are not just about sweating outdoors. It also takes care of your nutritional needs that are provided after every exercise session. The organizers ensure that you get the right food that keeps your energy levels high and spirits up throughout the day so that you continue with your exercise routine daily. The diet plan is designed to meet your weight loss goals, but not at the expense of keeping you hungry and starved. Participants are given 5-6 meals that are satisfying and packed with nutrition. 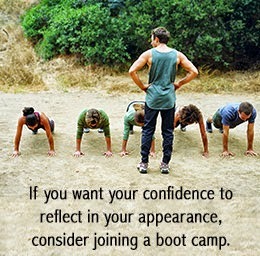 Boot camps usually last anywhere between 3 to 8 weeks. They help build team-spirit, and ensure that you to get back in shape. The instructors also offer advice about the right diet and exercise routine to follow at home so that you can continue to maintain a healthy weight long after the fitness program is over. To your rescue: Walk your way to fitness with these 6 amazing tips! In a recent survey among urban Indians, walking was by far the most common physical activity. For anyone living in India that's been to their neighbourhood park, this is quite obvious. There are hoards of morning walkers everywhere, and growing. If walking burns calories then, why don't all morning walkers lose fat? Some remain the same even after years of walking. Most of them are doing it to stay healthy and get fit, but the question is- Does walking really helping you lose weight? How long: If you get down to the actual numbers, then the average person walking briskly burns around 4-5 calories per minute. So, if you walked for 15 minutes, then you burned about 70 calories. That's fewer calories than a slice of bread! To really make a dent in your calories burning, you need to walk at least 45-60 minutes. How brisk: Law of physics again. The faster you move, the more calories you burn per minute. So, if you're walking leisurely, then you burn about 3 calories per minute. So, if you walk at a brisk pace, then you're burning almost 50% more calories! Now, imagine if you were jogging, then you would burn another 50% more calories. And if you run faster, then you burn even more calories. What's the snack: A typical habit of many morning walkers is to snack after the morning walk. Like a chai-samosa snack. This kind of kills the whole effort you made while walking. Say you brisk walked for 45 minutes, and you burnt 200 calories. After that you ate a samosa and a cup of chai. That's a total of 200-250 calories, or even more! So, may have just eaten more calories than you burnt! Better than that, next time have a fruit after your walk. Or your regular meal. Don't treat your walk as a reason to indulge in food or drink. You're not doing yourself any special favours by walking. Your body needs exercise every day, and you're just doing what you should be. Are you mixing it up: Your body naturally adapts to whatever you do, and learns to become more efficient at it. This is not a good thing for you, if you're trying to maximise your calorie burn. As it gets used to your walking pattern, it burns fewer calories for the same distance. So, you need to mix it up- try a mix of other exercises, like yoga, running, weights, or even a sport. It keeps your body guessing, keeps your metabolic rate high, and helps you burn more calories! Watch your diet: We meet so many people who exercise vigorously (sometimes too much), yet don't see a dent in your waist size. That's simply because they're eating more than they need to, to see results. Consider this, an hour of brisk walking burns 250 calories. In terms of food calories, that's two slices of bread, and an egg. To lose weight, you need to burn more calories than you consume. So, keep your workout to a maximum of 45-60 minutes, and focus on ensuring that you're not eating too much. Walking may not be enough: If you're doing all this, and still not seeing results, it means you need to change your exercise plan, or maybe get some help. There are plenty of weight loss app and services out there. Get one that's reliable, that uses natural methods to lose weight, like diet and exercise, and that focuses on eating healthy! So many people are looking for the top weight loss program. They are sick of being overweight or even obese. 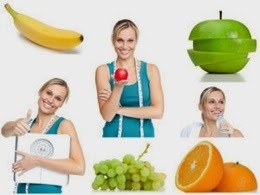 However, many of them are aware that some weight loss programs are downright unhealthy. So, they are also seeking a healthy weight loss program. What very few people realize is that the top weight loss program is, indeed, a healthy weight loss program. 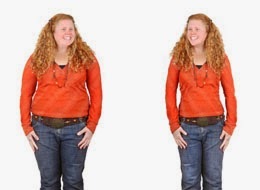 It is really possible to lose weight in a healthy way and, in addition, this can be permanent weight loss. There are many weight loss programs out there. 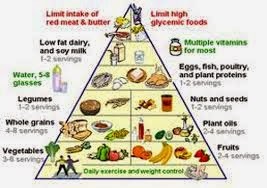 Most common is counting calories --- without paying too much attention to what you eat or, at most, keeping an eye on the USDA "food pyramid." In this case, you are apt to feel hungry all the time. This makes sense; a person following this diet might actually be starving himself. So, ultimately, he will give up and go back to eating what he did in the past (I will note as an aside that it is no fun counting calories either). Then, there is the high-fat, low-carbohydrate diet advocated by Dr. Atkins and others. 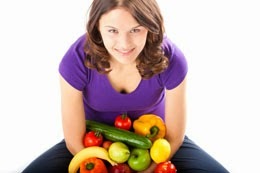 In this diet you essentially trade one problem food (sweets and starches) for another (fats). This does not make sense at all from the health point of view given the wealth of information available on the adverse effect of saturated fats on the cardiovascular system. In addition, throwing out carbs also implies throwing out all the vitamins, minerals, and trace nutrients associated with those delicious fruits you are avoiding. So, what is the solution? The Paleo Diet! I will confess that I hate this name as it is not a diet; it is a lifestyle. And, lifestyles are what you should be looking for if you are seeking long-range health. 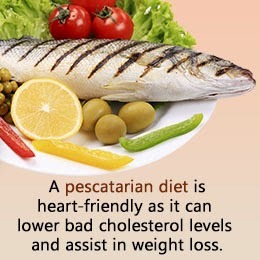 Briefly, the Paleo Diet involves trying to eat the food that our hunter-gatherer ancestors ate thousands of years ago. Our genetic make-up has not changed since then and, if we would like to enjoy the health they did (Yes, it is a fact that these people were very healthy! ), we should be eating what they ate. What did these people eat? Very simple: fruit, vegetables, and fish or lean meat (Occasionally, I suspect that they ate some eggs or honey for a special treat!). Does this mean that we have to live like cavemen? Not at all! Meals centered on these foods can be just as tasty and satisfying as meals prepared using conventional foods. Did you catch the fact that this diet does not include grains and dairy products? That is correct. And, no matter what that food pyramid says, they are not essential to your health. They were not a part of the diet of our Paleolithic ancestors and are not eaten by the few hunter-gatherer societies that survive today. I spent many years living in the Pacific islands and these food items are not a part of the traditional diet of people living there. And, I believe that island people are certainly as healthy and attractive as people anywhere else on this planet of ours. What can you expect to happen if you adopt the Paleo Diet lifestyle? First, you will lose weight --- perhaps a lot at first as many people experience rapid water loss when they start this program. Then, slowly but surely, you will lose pounds as your weight approaches the ideal for your body type. This is not a quick fix. It is a permanent solution that will take a while to happen. But, it will. That is the most important thing. Second, your health will improve. But that is the subject matter for another article! The Paleo Diet is the natural diet for human beings. It has been tested in nature's laboratory for thousands of years. People --- including me --- that use it feel good and are able to keep their bodyweight where it belongs. If you are overweight and are looking for the top weight loss program, look no further as it turns out that the Paleo Diet lifestyle is a healthy weight loss program too. Consumers that are focused on maintaining a heightened sense of aesthetics often undergone an extensive daily routine. Many routines are reliant on the use of products and services that are aimed at helping people create the appearance they are interested in that would otherwise not be feasible. Anyone that is currently involved in this process should know the fundamentals of choosing the right mineral sun tanning lotion to make sure their skin is successfully enhanced. Sun tanning lotion is designed to provide the protection of the skin that is typically needed with prolonged exposure. Consumers are typically interested in these products when trying to make sure their skin is protected from the sun while also being able to enhance their tanning efforts in many instances. Mineral based lotions are becoming much more popular and effective for people to consider among the competing options. Residents in most cities that may be interested in this form of protection for their skin are offered a significant number of competing options to consider. Many of the leading brands that might be available for purchase are quite similar in how they are created and the features they offer. The right buying decision is actually quite easy to make when several considerations are carefully reviewed. Review posts are considered to be the most helpful facets of information for anyone involved in this process. The reviews that are offered from current and former users of any product are incredibly helpful in allowing others the chance to feel informed about what is offered and why any particular product should be considered over any others. Highly rated products are usually the most common among people that are focused on quality and confidence. An additional source of insight for people is making sure the power of protection with any product is carefully weighted. Most products are designed to offer a varied amount of protection which can impact the quality of the tone that is able to be created as a result. Concentrating on the products that might be highly protective from harmful rays but are still able to create a great tone is helpful in avoiding risks and disappointing results. Consumers are additionally focused on ensuring any product in question is water resistant. Water-proofing is major source of guidance for anyone that is trying to make sure they activities in water are not allowed to impede upon the protection of their skin. Products are clearly listed with this information to help consumers make the right decision. Products should also be reviewed for the actual minerals and ingredients that are utilized. Many of the topic products are difficult to implement on the skin as they are known to cause irritations and even clog pores over time. Using the products that are the safest and avoid any major allergic reactions help consumers avoid significant challenges. Pricing also plays a major role in making this particular choice. The costs associated with any cosmetic products can be difficult to filter manage and prepare for when already dealing with limited budgets. Concentrating on the lowest prices for the most protection and value is helpful in creating a great deal. When you are searching to find the best deal on mineral sun tanning lotion take a look at our official homepage. Visit the related website which features all about Sun Lab self tanner today. Fitness Monkey - The Truth About it!